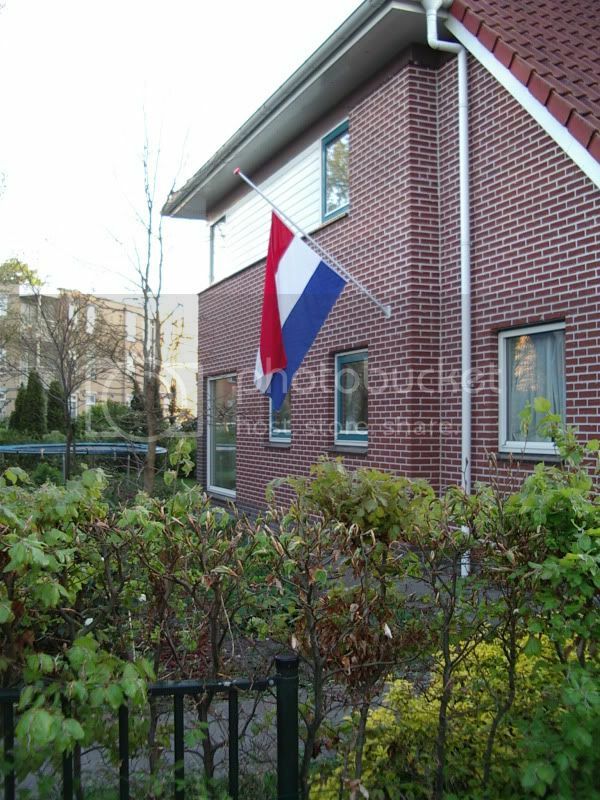 This is our house with a Duch flag. On May 4 we remember World War II, and the victims from that war. An old lady told me that the weather was as nice as today when the war started. She was thirteen back then. Also we bring this day into memory all the Dutch soldiers who died recently and earlier.